When it snows in Georgia, despite the fact they rarely get more than an inch of coverage, entire municipalities shut down. This is often considered a joke to those who live in colder climes, but in truth, it’s done for a very good reason. Two reasons, in fact. Warm areas simply do not have the same apparatus of plow trucks and snow removal that places used to dealing with snow have. Still, many northerners think, “It’s just an inch, not nearly enough to prevent them from getting anywhere.” But even an inch of snow can be deadly if you’re not accustomed to dealing with it. Driving in the winter can be manageable, and millions of people brave the snow every winter just to go to work or to get groceries without thinking twice about it. Doing so requires learning how to drive in such weather. 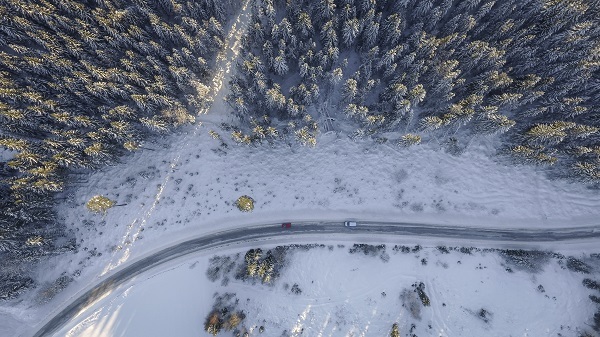 If you’ve recently moved to a colder area and need to learn how to drive in the winter, here are a few tips to keep you safe on the road. When driving around in the summer, or in more forgiving climates, you can get away with procrastinating about getting your car serviced a little bit. It’s not recommended, but if circumstances conspire to prevent you from getting a timely service, it’s not the end of the world. In all likelihood, your car isn’t going to break down tomorrow, and if it does, then you can deal with the problem then. If you’re driving in the winter, however, such procrastination is not an option. Problems have a tendency of occurring when they would cause the most impact, and car problems are no different. If you have an issue with your engine in the middle of a snowstorm and end up stranded with no way home, the consequences of procrastination might not just be to your car. Generally, it’s a good idea to have a full service and inspection done just as the cold, late autumn winds start to bring the first hints of snow, to make sure no unexpected issues crop up in the dead of winter. Part of this recommendation is along the same lines as the last one, i.e., you can play games with your fuel tank if the only consequence is you’ll have to walk to get some gas in the summer, whereas running out of fuel in the winter is a potentially much more dire issue. However, there’s more to it than that. When driving in the winter, you always have to be aware of the possibility that you get stuck, and that no one is able to come to get you for an extended length of time. If that were to happen, the only thing keeping you warm, and possibly alive, will be the heat from your car, kept on and idling. Such a thing is bad for the environment, of course, but the environment must take a backseat to personal survival. If you don’t have any, or your fuel tank is low, then you might not have enough fuel to heat yourself for long enough. Obviously, you can’t stop for gas every time you drive, but refilling when you hit the halfway point is a good idea, as well as filling up entirely before any long trips. This tip is only really relevant if you have rear-wheel drive, so make sure you know what type of car you have before you go loading up your trunk. Having more weight on the back of the car does make the tires press harder into the road, and thus allows them to have more traction. Beware, though, as it is possible to go too far with this. Having a few bags of sand is a good idea, especially since sand can be spread out on the road somewhere if you really need to get even more traction, but don’t go overboard and pack your trunk with weights, or you might put too much stress on the rear axle. Winter tires are an absolute necessity in any areas that have inclement weather in the winter. There are tires specifically designed to have more traction in the snow so that you’re less at risk of spinning out or having an accident. They also will allow you to navigate difficult conditions like ice or hills more easily than regular tires. Keep in mind, you will need to have these tires taken off and have regular tires put back on for the summer. This isn’t because winter tires are inferior on non-snow covered roads. Except when it comes to very fine aspects of performance that no one except for racers and gearheads will care about, winter tires will be able to perform just as well as regular tires outside of the winter. However, driving around on tires do wear them out, and it’s a waste to wear through winter tires on surfaces that do not need them. It’s good practice to have two sets of tires that you switch between throughout the year. 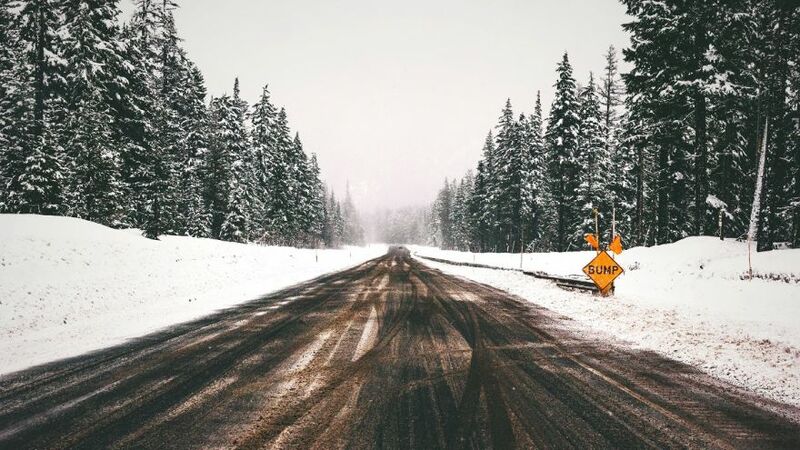 For both regular and winter tires, but especially the winter ones because of how they will be used, you will have to check the tread, or the benefit conferred will be negated. Stick a penny head-down in the tread; if the tire does not touch any part of Lincoln’s head, you need new tires. Part of safe winter driving is always knowing what type of conditions you will be driving in. Download a weather app on your phone if you haven’t already, or, if you can’t do that, check the weather whenever you go out to drive in the winter. Even if it looks clear, many areas that are hit with particularly harsh winters are notorious for having weather that changes on a dime. Always know what you’re heading out into, and, if you can help it, avoid driving altogether in bad conditions. Sometimes it can’t be avoided, but the more snowstorms you can avoid, the fewer ditches you will end up in. This is something that many people cut corners with, but you absolutely can’t, and it’s not because of anything that will affect you. Some people will clear off the windows and windshields, but leave the rest of the snow on the car. Snow can and will eventually turn into ice, and form hard sheets. When you go driving around at fast speeds, these sheets can be dislodged, and many accidents have been caused by a sheet of ice flying off of one car and slamming into another. For the safety of everyone around you, clean off your car entirely. One thing many people who haven’t learned to drive on a hockey rink might not know is how to best stop when you’re on ice or slush. Slamming on the brakes is a terrible idea; the wheels will lock up, and you will be sent into a skid, which you likely won’t be able to correct out of. Pump the brakes up and down; each pump will slow the car down in increments without locking up the brakes, allowing you much more control as you come to a stop. If you drive a manual, downshifting as you do so can help, but if it’s too much distraction, focus on pumping the brakes. If you do get stuck, and you’re trying to free yourself, with or without the aid of people pushing, the worst thing you can do is put the pedal to the metal. The accelerator, despite how it works on the road, is not a “go forward” button, it’s a “spin wheels” button. If the wheels have no purchase, a quickly spinning wheel will not find traction at all. Even worse, the heat from the friction will melt the snow immediately in contact with the wheel, making traction even more difficult to gain. Instead, tap the accelerator slowly, barely spinning the wheels at all, so that the treads have time to push into the snow and propel you out of where you’re stuck. Hopefully, with all this advice, you’ll be able to avoid having any accidents in the snow. One parting note, though: you can never be completely assured you won’t have an accident. Always keep a few things in your car, in case something does happen: a blanket, water, and non-perishable food. Hope for the best, but prepare for the worst.